Gemstone Details: 250 Round cut black sapphires, of exquisite color weighing 3.77 carats total. Measurements: Lariat chain measures 36 inches in length and 27 inches in diameter. 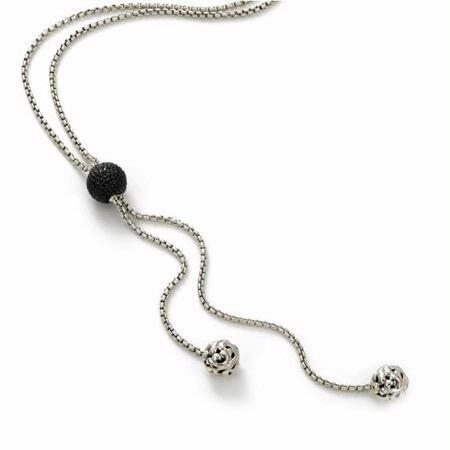 This fantastic Charles Krypell sterling silver lariat necklace features 250 round cut black sapphires, of exquisite color weighing 3.77 carats total. This lariat chain measures 36 inches in length and 27 inches in diameter.